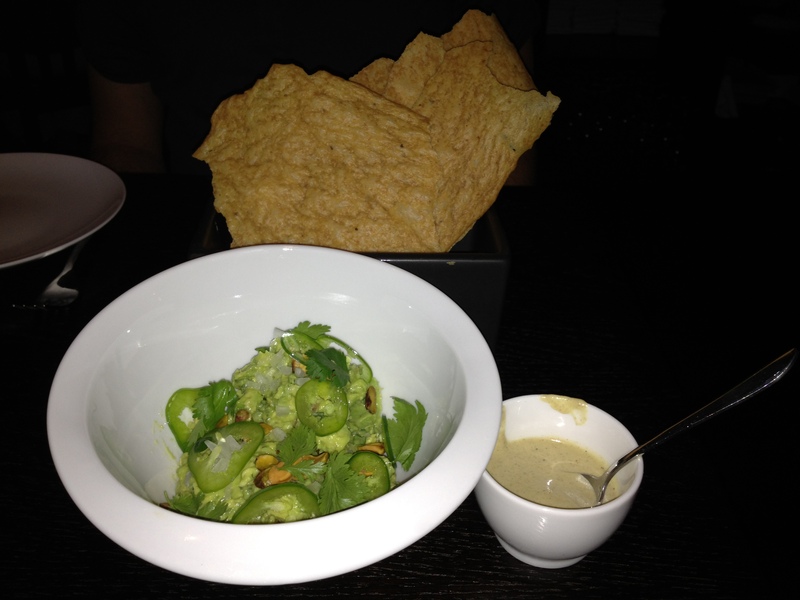 The guacamole was extremely well made with the right amount of salt, jalapenos and a few sprigs of cilantro. The roasted (unsalted) pistachios added a sweet crunchy texture that left us wanting more and more. The masa crisps were simply divine and such a welcome change from the corn chips served in most other Mexican restaurants. These crisps were well spiced, but were not hot and were perhaps fried. They were light, non-greasy and almost melted in the mouth. 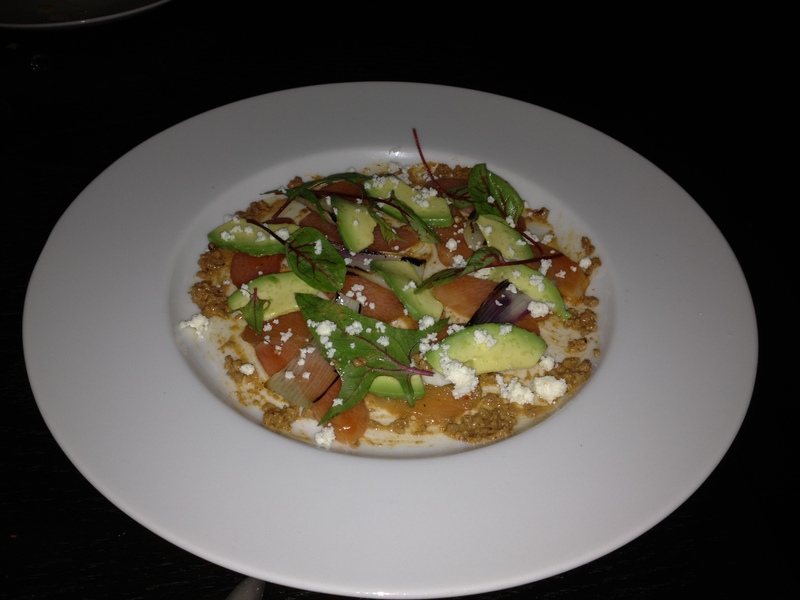 Does any one know of other Mexican restaurants that serve masa crisps like these? 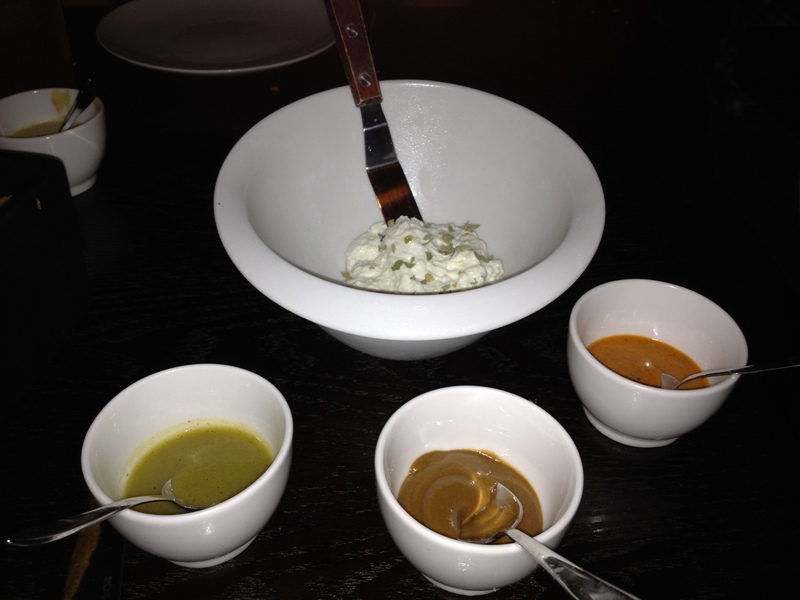 The smoked ricotta was served with small bits of dried rosemary mixed into it. The salsa verde and the salsa de arbol were spicy without too much heat and added a wonderful flavor to the smoked ricotta. The chorizo raisin puree had the smelled distinctly of chorizo (not in an unappetizing way), and tasted of sweet raisins. For those who want to avoid the chorizo raisin puree, I’d recommend either the smoked cashew or the tomatillo chipotle salsa – neither of which I tried, but seem very exciting to me. The tortilla was served soft and warm as it is served in most Mexican restaurants, although I did not expect it to be as large as it turned out to be. 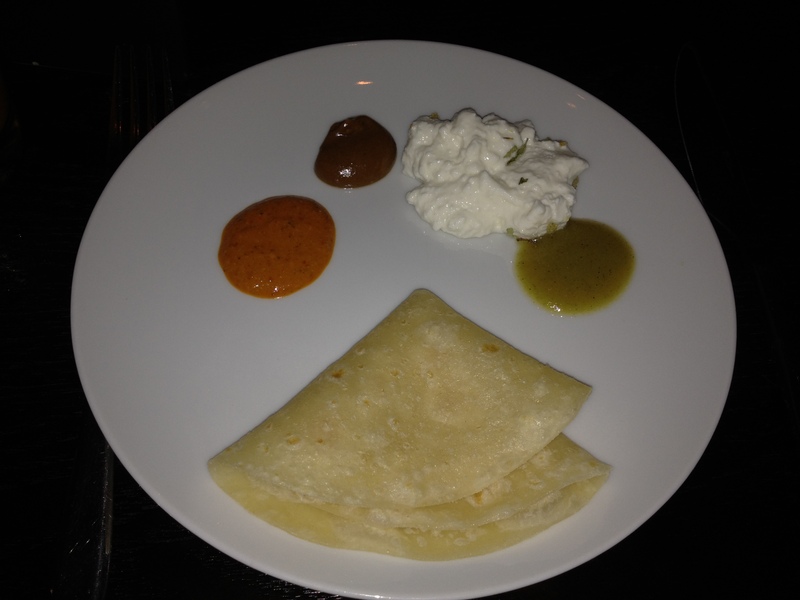 It had a very earthy flavor (as though it was made from unprocessed corn flour), was fresh, and was a notch above tortillas served in other restaurants. I would go back for this dish, filling as it was. This Rhubarb avocado salad was light and refreshing. The fresh cheese balanced the sweet rhubarb and the mildly spicy chipotle dressing. Certainy worth ordering again! This dish with the mushrooms and the black bean vermicelli was my least favorite. 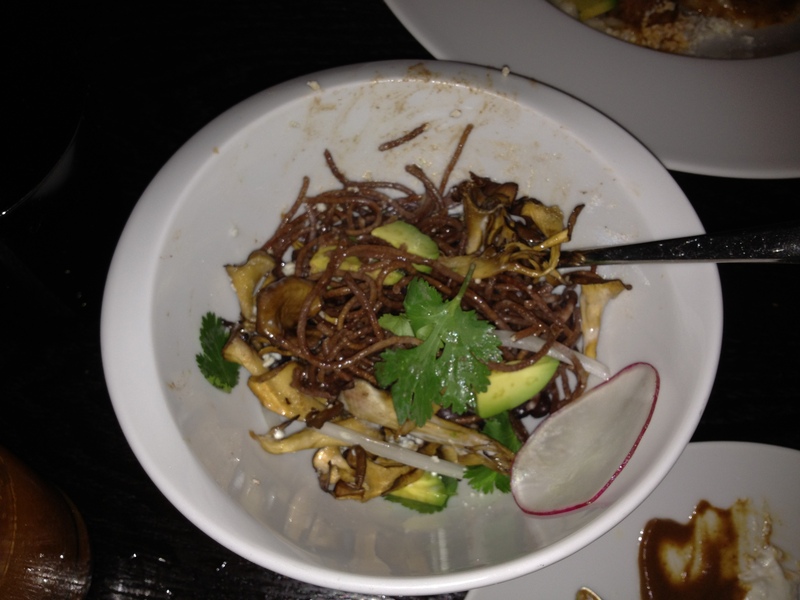 The mushrooms were bland; the vermicelli dense, somewhat chewy, not spiced / salted adequately, while the sliced radish, the avocado, and the cilantro sprigs did nothing to enhance the flavor of the dish. Please order another dish instead of this one. What else on the menu sounds worth trying? Am definitely going back to Empellon Cocina for the Michelada, the food and the desserts (I did not try), although only after checking out Empellon Taqueria by Chef Alex Stupak (a former world renowned pastry chef). Apparently, the state of Oaxaca has the most influence on the dishes at Empellon Cocina.